Editor’s note: This is one of the most popular posts on Be Healthy Now blog and has been originally published in February 2015. This has been republished to benefit new readers who may have missed this post. How is baobab fruit powder made? Where can you buy baobab fruit pulp powder from? Baobab tree or so called ‘the tree of life’ is native to Africa, but it’s also found in Australia and India. It’s a massive tree that can grow up to 20 meters tall and about 15 meters wide. It is one of the longest living trees on earth and there is evidence that some baobab trees have lived for over 2,000 years, while other reports indicate trees that may have lived in excess of 3,000 years. Various parts of the tree can be used for different purposes: its bark can be turned into rope and clothing, fresh leaves can be eaten to boost the immune system and of course, there’s an edible baobab fruit pulp with many health benefits. The fruit pulp has been used in Africa for different kind of health issues for a long time. Baobab fruit pulp has become available in the UK in 2008 when it won approval from EU food regulators. 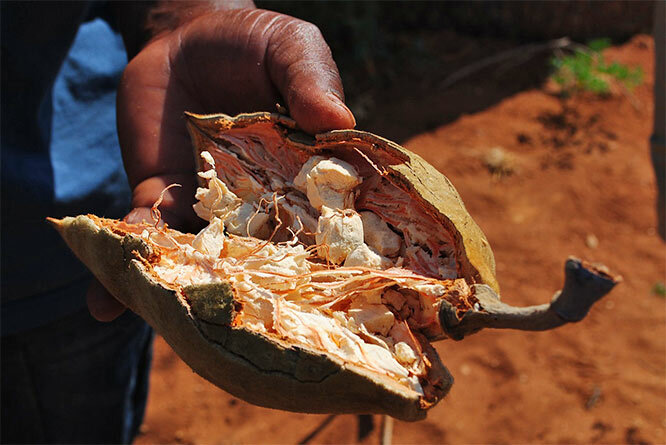 Baobab fruit is first harvested by hand by collecting from the trees or from the ground. Baobab fruit naturally dehydrates in the shell and the hard shells are then cracked open and the pulp is separated from the seeds and shell. There is no heat or pasteurisation necessary to make baobab fruit powder – dried babob fruit pulp is simply ground into the powder. Baobab fruit powder contains a variety of vitamins and minerals. Gram per gram it contains six times as much vitamin C as oranges, twice as much calcium as milk and even more iron than red meat. It is also rich in potassium and has plenty of B vitamins, magnesium, phosphorous, and antioxidants. What’s more, the fruit pulp is rich in soluble fibre and it has more fibre than other fruits such as apples, peaches and apricots. I can see this powder great for vegetarians or vegans as its vitamin C will aid iron absorption in various foods. Although the calcium content in 2 teaspoons wouldn’t be massive, it would still contribute towards the recommended daily allowance, something particularly important for vegans as they don’t eat dairy products. There are more studies needed to establish the exact health benefits of baobab fruit powder, but at the moment we know that it can help manage blood sugar levels by counteracting the negative sugar level spikes that come from eating carbohydrate rich foods like white bread. (1) UPDATE 31.01.17: This means that when you eat baobab powder together with high GI foods you won’t get the usual sugar spike in your blood. This could be especially beneficial to those suffering from type 2 diabetes, however consuming the baobab powder will not cure you of the condition. Being high in antioxidants, baobab powder helps to eliminate free radicals that can contribute to cancer, ageing, inflammation and cardio-vascular disease. As it’s rich in various vitamins and minerals it may contribute towards improved general health and well-being. However, there may not be much effect on your body if you take only small quantities of it or you take it only once in a while. 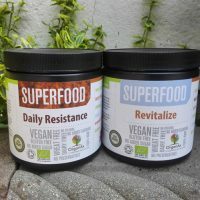 The problem is that currently it is not very clear what the appropriate dose of baobab fruit powder should be but companies that sell it normally recommend 1-2 teaspoons a day. If you are looking to increase the amount of calcium-rich foods you eat, then baobab powder is definitely something worth considering. Although you can find calcium in other foods such as sardines, broccoli, oranges and figs, some people still struggle to get enough calcium through their diet, especially because of their busy lifestyle and the amount of processed food they eat. If you are a vegan or avoid dairy products, then you should especially pay more attention to your calcium intake. Calcium is essential for healthy bones and getting enough of it is important for prevention of osteoporosis. Consuming baobab powder is an easy and more natural way of increasing your calcium intake (as opposed to taking supplements). In fact, some pregnant women in Africa consume baobab powder just for that reason. There has been no evidence or reports about allergenic effects caused by direct consumption of baobab fruit pulp. Where can I buy baobab fruit pulp powder from? There are different companies selling baobab fruit powder such as Minvita (which I tried, see below), Aduna and Organic Burst. Look for these companies in your local Holland and Barrett and see whether they stock their products, including baobab fruit powder. Alternatively, you can check Amazon to see whether they are doing any deals but make sure you buy organic and 100% pure baobab powder with nothing added to it. 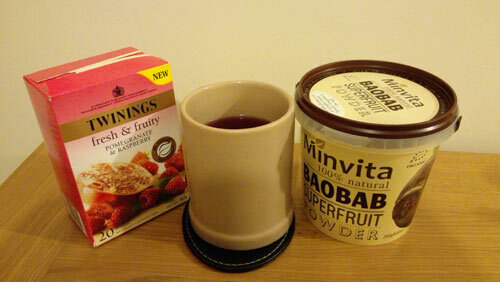 Minvita kindly sent me a tub of their Baobab Superfruit Powder* to try and since then I’ve tried it in various ways and honestly I wasn’t disappointed. Minvita’s baobab fruit powder is certified organic (USDA organic certification) and it is ethically sourced from Malawi in collaboration with non-profit Phytotrade Africa who ensure fair trade prices for rural communities, biodiversity, sustainable harvesting and protection of baobab tree populations for future generations. 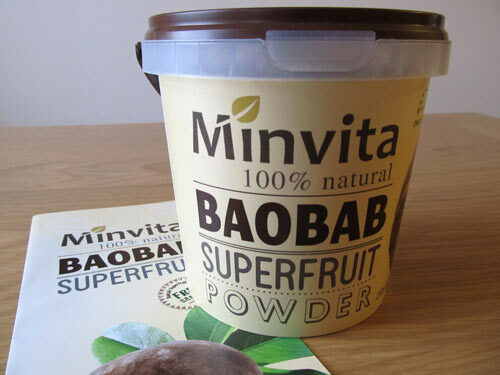 Minvita’s baobab fruit powder is a pure fruit powder with nothing added to it. It’s free from gluten, wheat, dairy and it’s suitable for vegetarians and vegans. Before I tried baobab powder I was slightly concerned that I may not like the taste but surprisingly it tastes really good. Not like some green powders which are actually disgusting (spirulina, for example). This is what I really like about baobab powder – the taste is great, it’s a pleasant tangy, zingy flavour and something you can easily enjoy in your food or drinks. How to use baobab powder? I read somewhere that you could even use it in baba ganoush but also in your baking, if you like, and in any other ways you can think of. It’s so versatile and this is what I really love about it. You can buy it online directly on Minvita website or on Amazon . 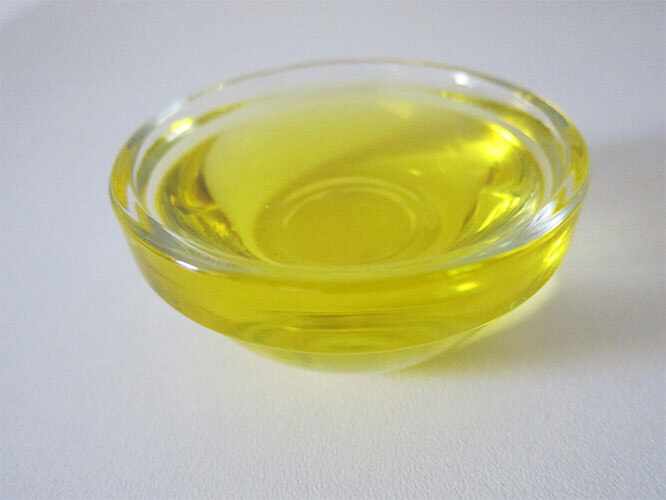 It’s amazing how many different uses baobab tree has, it seems that they make use of every single part of it and here I also wanted to mention baobab oil which is made of fruit’s seeds. The oil is cold pressed and high in vitamins A, D, E, F, B vitamins but it also contains phosphorous and iron which all help towards improving skin’s elasticity and reducing appearance of stretch marks. It’s great for dry skin as it acts as intensive moisturiser. Although it’s suitable for all skin types it’s especially great for dry or dehydrated skin. You can add baobab oil to your favourite face moisturiser to help tackle dry skin which can be an issue in winter. It’s only suitable for external use though. Baobab oil can also be used on your hair – you can add it to your current conditioner or you can use it as a leave-in conditioner by applying a few drops through your hair. I’ve tried a sample of Minvita’s baobab body oil* which is yellowish oil and absorbs into skin quite quickly without leaving greasy residue. It left my skin feeling nice and soft. Have you heard of baobab before? Have you used baobab fruit powder or baobab oil? What did you think of them? *indicates PR samples. My honest opinions always provided. This post contains affiliate links. I am glad you found it interesting! I didn’t know much about it before but I learnt a lot during my research. I think baobab fruit powder is great and I am definitely going to order it through Amazon. Thanks for another informative post! I picked up a pot of baobab powder and have only used it in smoothies so far, but it’s great to know all the nutrients/effects reported so far! I am glad you found the post useful Besma and it’s good to see you already have a pot of baobab powder! Definitely a good decision! Super detailed post. I love baobab and use it mainly in smoothies and bircher muesli – I tend not to heat it as I think it loses some of the nutritional benefits. I’ve never tried the oil – I wonder if it can be eaten. Yes, I think it’s true, if you heat it up it probably does lose some value. I read that the baobab oil is only suitable for external use and it’s not intended for cooking or eating. Thanks for the comment! 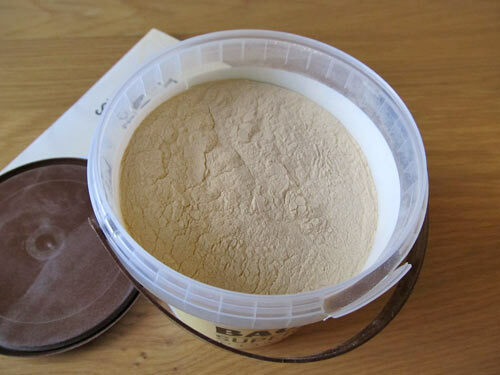 It’s good to hear you are already using the baobab powder Gem, I think it’s definitely worth it. I wonder if there is any difference in flavour between different brands. I don’t think it should be though as the process is the same. There is so many different types of oils out there and baobab oil is definitely one to try. If you do try it, let me know how you got on! I’m from west Africa and I really love baobab fruit but I didn’t know it has all these benefits. I used to eat it everyday back in my country but when I mixed to the United States I couldn’t find it anywhere even online. In happy this fruit is getting the attention it deserves. I don’t think at the moment there is a non organic baobab tree in Africa as we do not use any chemicals to grow plants especially for trees like baobab tree, because they are sacred to us. I will definitely try these brands you mentioned. I usually have my mom shippevme few pots from Africa, but if I like one of these brands I will be saving some money :). Thank you so much for this article. Thank you for your lovely comment Aissatou! It’s so interesting to hear from a person who actually had baobab fruit available all the time. 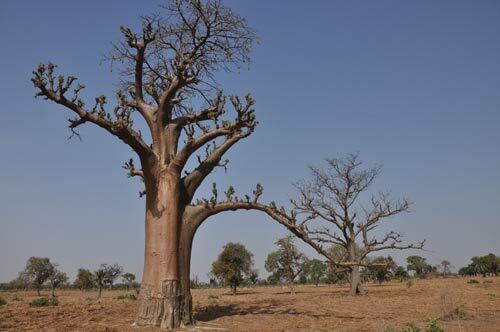 It’s good to know that no chemicals are used for growing these trees, so basically the baobab products you buy online don’t have to be certified organic..
Hi Petra, I wanted to know what you thought of using the oil on your skin long term? Did you see a change? Did it help you stay moisturized? I had been using coconut oil however I never really saw it helping my skin long term. Turns out that it won’t after I did some research! So I’ve been looking for something else. Hi Jess, I actually don’t have any experience using baobab oil long term so I couldn’t say how it works for that, I only used a small sample to test it out. If you have issues with dry skin it’s always worth looking at your lifestyle and what you eat as this plays a big part in skin health. Make sure you get enough omega 3 in your diet and vitamins B – these nutrients really make difference in the way my skin looks, omega 3 especially (I supplement every day). Have you tried avocado oil yet? I heard it’s also good for moisturising skin. Hi, Thanks for the tips. I have not heard of the omega 3 helping with dry skin. I’m pregnant so I’ll ask my OB about it. You can find omega 3 fatty acids naturally in various foods (for example flaxseeds, walnuts and avocados) but if you want to supplement and you are pregnant you definitely need to check with your doctor. I supplement with vegetarian omega 3 oil as I don’t trust fish oils – there could be all kind of stuff in those so I don’t recommend them. I am on my second tub of Minvita. I put three teaspoons it in a bottle with a freshly squeezed lemon, topped with water ; well shaken! It’s a bit like a lemonade. My energy levels have definitely improved, I am actually quite amazed by it. The second tub of Minvita was quite a lot darker than the first. Is it usual to get variants in colour? Great to hear you are enjoying baobab powder and that it works for you! I need to try the way you drink it, I normally just add it to my breakfast muesli or porridge. I almost finished a third tub of Minvita baobab powder and I also found the colour varies. The first tub of Minvita was quite light in colour while the last one is much darker. I guess it’s normal for the colour to vary. That’s good to know thank you. I wondered -Is there a recommended dose for optimum benefit? Hi Donna, I couldn’t find anything about this in my research. I wondered the same. Companies who sell baobab powder normally recommend 1 or 2 teaspoons a day, this is a safe dose, they say. The recommended maximum is not known. Thank you for the wonderful piece. Baobab is very common in my area, we use the leaves (both fresh and dry) in soups. The fruits are used in yogurt and also used to make juices. I’ll take it regularly as I have low calcium levels. Thanks, I can see some fantastic recipes on your site! It does contain quite a bit of sugar but you have to remember it’s natural sugars you are consuming, I wouldn’t really be concerned. If you consume one tablespoon of baobab powder a day, that’s nothing really.It won’t be much sugar in that. Getting all the good nutrients from baobab powder outweighs the fact that it’s slightly high in natural sugars. But at the end of the day, it’s a type of fruit and lots of fruits are quite high in natural sugars but they are still good for you. They contain various minerals and vitamins and fibre which helps your digestion. Just make sure you don’t consume too much fruits. Too much of a good thing could turn into a bad thing! 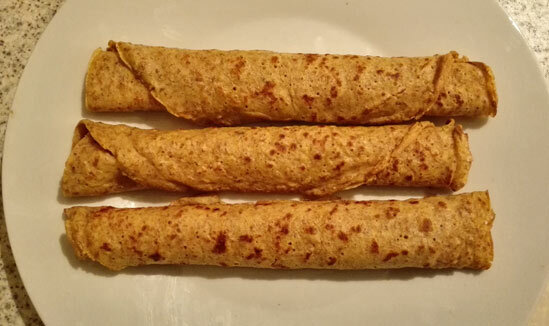 Have it in kenya usually cooked adding red colour mostly consumed by children but i have this idea of using the powder as a fortifying agent on packaged food like wheat and flour etc is a good idea ?again anybody interested in the powder and oil i can help. 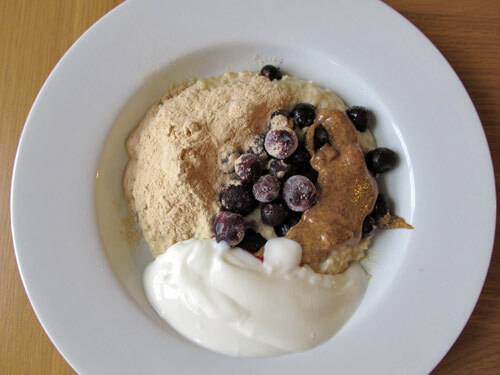 I think baobab powder would go well with various cereals but not sure about adding it to flour. I think it will only be suitable for certain foods as it does have this citrusy flavour. Wooooo am very happy to know that the baobab i know since childhood have this great significant nutrients,God is great. I am great to hear that! You are so lucky to know baobab since childhood! Reading all the comments on baobab powder, I felt I had to add a comment. I drink it daily with either soya milk or fresh milk and honey. I also use baobab oil daily, which I have mixed with shea butter and I can honestly say my skin looks good and feels soft. In the very dry harmattan season my skin remains well moisturised. Thanks for your contribution Helen. I haven’t used baobab oil much but I did love the sample.It’s great to hear that it works really well for preventing dry skin! Sounds nice, but I’ve to try it out. wow! Ammm glad to know that this fruit has such great nutritional benefits. I’ve also been having it since childhood and I just finished one few days ago. They are in season now and are plenty here in zambia. l’ll make sure to have enough of it using different recipes. Should i use it directly by adding it in a water? is there any side effects.?? Hi Amit. 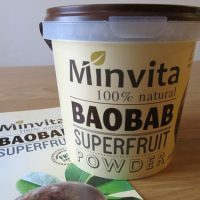 You can use baobab powder in various different ways as mentioned in the article, see the section ‘Minvita baobab superfruit powder review’. As mentioned in the article ‘baobab is generally considered safe, little is known about the safety of long-term use of supplements containing baobab.’ I hope that helps. Wow … we eat this everywhere at the Kenyan Coast, these trees grow everywhere! Hi Mary, thanks for your kind offer. It must be amazing to have baobab powder at your disposal all the time. I currently use Minvita’s baobab powder which I have plenty of at home. Baobab is very common here in nigeria, but many people dont know its health benefit, they sell the powdee mostly in schools as candy to children and we make drinks and use the leafs for cooking, glad i came across this. Now i need to know how to export this powder and make some money, lol!😄 Coz its plenty here. Really interesting to hear your experience with baobab powder. There are lots of companies selling it here in the UK so I believe the market is quite competitive. Very interesting! This is what our parents in the rural communities in Ghana used to feed us when we were young. We were always healthy even though raised in poor homes. God is so kind. This is very motivating to start a project to preserve these trees and foster collaborations for livelihood creation within our rural communities. So you were lucky to have this as a child, good to hear it kept you healthy, so it does work! There are two types of baobab – sugar and salt like type. So you can choose whatever you want if you are the type that does not like natural sugar. AISHA ,good to know baobab stuff is readily available around you.l am in eastern nigeria and need you to supply the powder , oil and lives across.thanks. from Sop. Hey everyone, am from india and there is no shipping to india @ Amazon.co. Kindly help me which is the best brand i can buy apart from minvita and which has shipping to india. Is it still safe to use? And how long is it good for past this date? I am not sure I can give you a good advice on this but from my experience I’ve used baobab powder longer that it was recommended after opening it. It was recommended to use it within 3 months after you open it but I used it past that. As it is a powder and dry I don’t think it will become harmful after a while. I think the worst it can happen is that some nutrients will get lost. We have a lot of Baobab fruit powder in Northern Ghana. And it is common over here. Hi. I’ve been readingabout this powder and it said that it gives you wrinkles is that Wright? No, I don’t think that’s the case. Baobab powder contains vitamin C and this should actually HELP with wrinkles. I’ve never heard of this Baobab fruit but it really looks good. I hope i could try this but I don’t think I would be able to ship it to my country. Hi Erika, this is very unusual as baobab is known to have no toxicity or safety concerns, basically there shouldn’t be any side effects using it. Are you sure it was baobab and not the yogurt? Have you ever had any issues with dairy products? Was it a plain yogurt? How much of baobab powder did you use? (hopefully not too much!) Did you eat anything else on the day that could give you these issues? I personally haven’t had any issues with it whatsoever but I know everybody is different. I own a couple of Baobab trees in my farm in Nigeria. I eat the pulp all the time and enjoy the rich cream feel in my mouth. The nursing women from the community, where the farm is, use the fruit both for themselves,their babies and children. With regards to dosage, I can crack a small baobab open and eat half of the pod and I have never had any issues (should make sense since it is natural and harvested straight from the wild). The only thing you should be mindful of is the fact that it makes your teeth somewhat sensitive if you consume too much at a time. That’s amazing! Thanks for confirming that baobab is safe when breastfeeding and even for babies and children. I didn’t know that it can make your teeth more sensitive. I will keep that in mind for the future.